I just returned from the Jackson Hole Writers Conference and I’m ready to jump into my new project, a historical fiction. I’m enjoying this reprieve from Folsom while the publisher goes over the manuscript of my book. Check out my post at AprilJMoore. 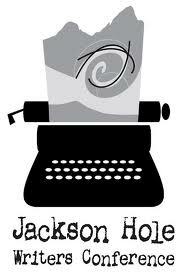 Categories: Conferences | Tags: April Moore, Jackson Hole Writers Conference, writers conferences, writing | Permalink.